The Playground is favorite place for the students where they play together, regardless to everything at the break and sport period. The students lovely to play soccer, skipping rope, badminton, dodge-ball, jumping over the rope, chasing and running. 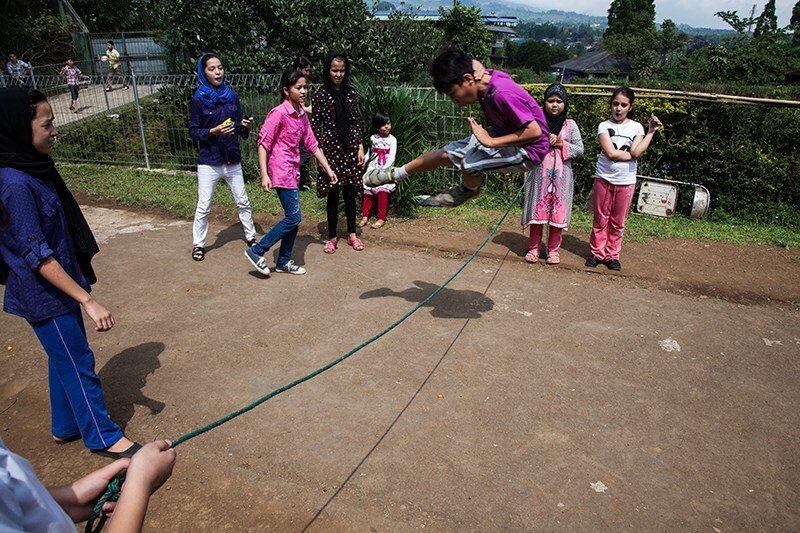 Photos from a beautiful sunny day when our students played dodge-ball and jumped over the rope. They loved it very much.